"It's not a question of whether you'll have conflict; it's will you be prepared when conflict happens! 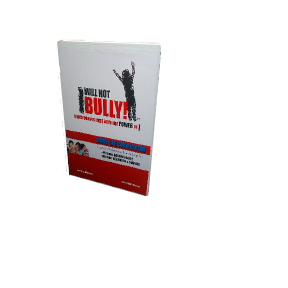 Overcome bullying-behavior, intimidation and harassment by learning the fundamentals of conflict resolution. This solutions-oriented tool offers three cohesive models: The School-life Curriculum for educational institutions, The Home-life Model for parents, families and children, as well as The Work-Life Teaching Tool for professionals who want to reduce hostility by learning how to communicate effectively. If you're a parent, administrator, counselor, teacher, business owner, senior manager or employee interested in bringing The 9-Creed to your home, school, organization or workplace, please contact us at: info @ Iwillnotbully.org or call us at 1-888-473-6889. Let's discuss how your family, staff, students and employees can benefit by utilizing this powerful program. What is the cost for your anti-bullying program?